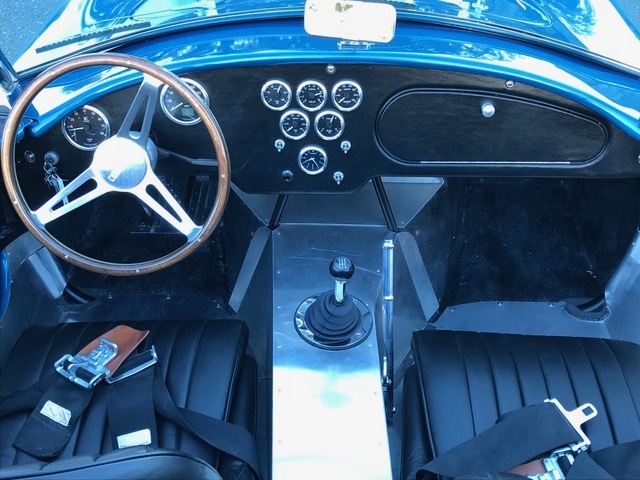 The Shelby Cobra is a car that just sounds right, feels right, defines an era and the idea that if you wanted to go racing and win, you could do it on your own terms with your own ideas. It is a car that revolves around the legacy of a chicken farmer turned into a racecar driver, and a racecar driver who gave the world a car company. Carroll Shelby’s cars continue to create demand within the collector car market place over 50 years later. Genuine period built examples are on an ever-upward trajectory and remain a blue-chip edition to any collection. 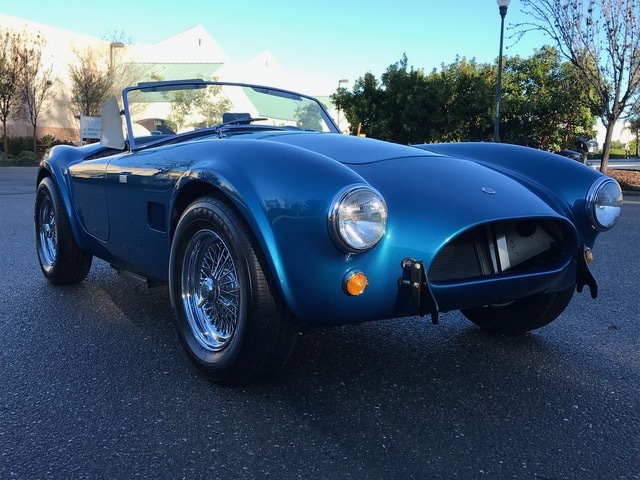 It is no surprise that purely on the demand for these cars that a plethora of recreations, kit cars, and the like have been produced over the past 35+ years to offer an alternative price point with similar ownership experience. Naturally no one can build a better car than Shelby American, thus the Continuation series of cars is arguably the best Shelby Cobra built in a contemporary context. Offering genuine well-built cars from original blueprints, enhanced in every way without sacrificing a single original element in its final presentation. The CSX8000 cars are built to order and completed to the highest standards possible to replicate the original “Slab Side” cars that started it all. The example on offer, CSX8502 was ordered by its current and only owner from Shelby American Inc. It was ordered as a very rare, very correct hand-made aluminum body example with leather seats and a glove box door. 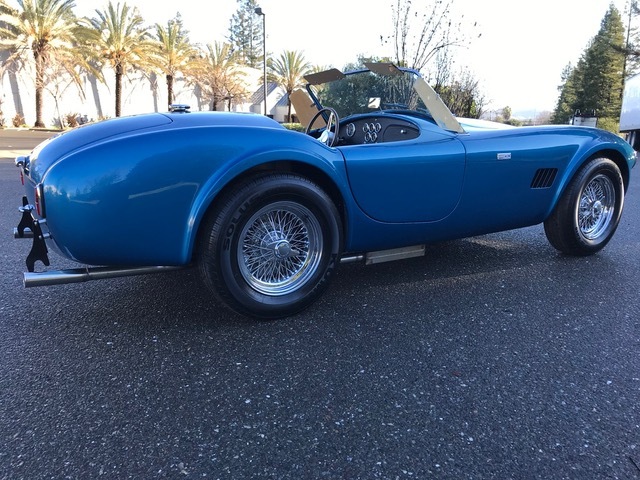 Once completed by Shelby American as a roller it then was shipped to northern California for its Carroll Shelby Engine Company all aluminum 364 engine mated to a TKO 5-speed transmission. Post-production, CSX8502 received proper sorting and enjoyment working out any and all “teething” issues. They include minor adjustments to the drivetrain and upgrading related components as well as electrical components, as needed. Ultimately nothing was overlooked and only the highest level of attention to detail was taken in the care of CSX8502 from new to the current 10 miles shown on the odometer. It is safe to say and has been reported by the owner that the car is fully sorted, free of any known defects and operates, in every capacity, as expected; a truly turnkey example. In reviewing the cosmetic condition we see a consistent factory finish (original paint) throughout the entire car. There are no real notable flaws to be found in the finished anywhere on the exterior. All gaps and panel fitment are superb, the rubber, glass, and bright work all showing as new. The interior is contrasting and well suited to the car. Showing no signs of use, with no noted flaws to speak of. The fit and finish of all elements are of a very high standard and match or exceed what would have been offered in 1965. Everything appears correct, everything works, and overall it brings about the feeling of a real Shelby in every respect. The engine bay is also tidy and free from any stray wiring or other related inconsistencies. The build quality shows best in this area of the car, thorough, careful and complete with no shortcuts. 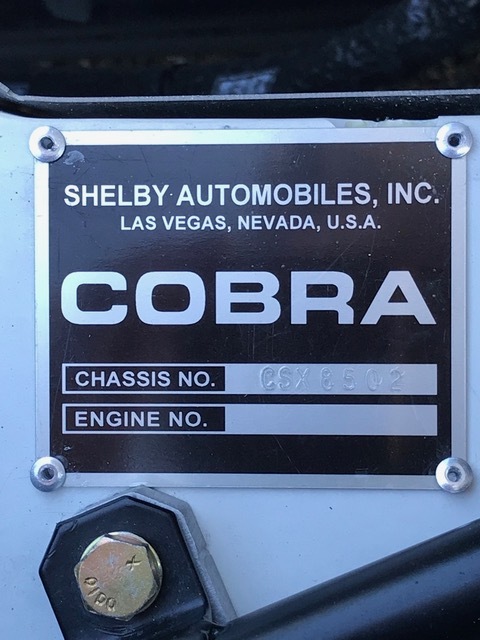 The “Shelby Automobiles, Inc.” plaque showing prominently in the right location and even the correct stickers are reproduced and correctly placed throughout the engine bay. There are no leaks or issues to note beyond & all minor detailing that could be completed as needed, after production, has been done. The trunk is of the same consistency, correctly constructed and finished as close to original. The underside shows no signs of use & from the perspective that it could have further detailing that has been completed. There are no noted flaws, leaks, or any issues of any kind apparent. With only 10 miles on the odometer the car is as new. In summation CSX8502 provides an exceptional opportunity for the collector who seeks a genuine Cobra experience but prefers room in the budget to enjoy other cars as well. It may not be the real thing, but you would never know it while going from 2nd to 3rd gear at 5,800 RPM. It truly is an exception experience, one that Carroll Shelby himself signed off on. Included in the sale is a comprehensive owners manual, detailed records including a copy of the warranty card and Certificate of Origin. An opportunity worth much consideration and a must have for any collection.